As the fourth religious group to hold worship services in early Fort Wayne, the Methodists came to the community after Catholics, Baptists, and Presbyterians. According to the renowned historian George R. Mather, their missionary policy was to appoint lay preachers and establish circuits of preaching stations, rapidly enabling the Methodist Episcopal Church in its effort to organize congregations in nearly every new settlement in the pioneer West. Unschooled and itinerant leadership did not at first bode well and although preachers occasionally did visit Fort Wayne during the 1820s, no church was organized. In 1830, the Illinois Conference established the Fort Wayne Mission and appointed the Reverend Nehemiah B. Griffith in charge of the undertaking. Although the seed of Methodism in Fort Wayne was planted early it was slow in reaching its full potential. Whenever the circuit-riding minister came to town, services were held in a variety of places, including a Masonic Hall, schoolhouse, courthouse, carpenter shop, and private homes. By 1835, the congregation attempted to build a meeting house near the corner of Ewing and Main streets, but it abandoned the effort after the financial panic of 1837. In 1840, a new property was secured on the northeast corner of Berry and Harrison streets and a frame church was built. In 1849, the North Indiana Conference, which was organized five years before in Fort Wayne, divided the town into two parishes with Harrison Street being the separating line. The new congregation first worshipped in the chapel of the Methodist College. In early 1850, under the leadership of the Reverend Samuel Brenton, it secured lots on the southwest corner of Wayne and Broadway streets and erected a frame meeting house. The Berry Street congregation built a Gothic brick church on the same site in 1864 then moved it in 1903 to a new facility on the southwest corner of East Wayne and Lafayette streets and changed its name to the First Methodist Episcopal Church. The Wayne Street Methodist Episcopal “reunited” with its parent congregation in 1968 and dedicated the present building in 1973. Mather added that, after years of steady growth it became more fully rooted growing and becoming one of the prominent denominations in the community, distinguished for its evangelical zeal and social conscience. The idea of the Methodist College first had emerged during the 1840s. 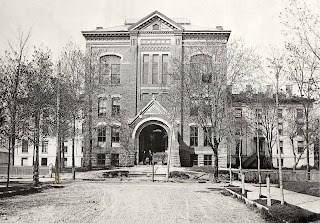 Historian Mather recalled that it was not known who first proposed it, however, in 1846 the Methodists were completing plans for the Fort Wayne Female College, which soon after was renamed the Fort Wayne Collegiate Institute. During the next year, the Methodist North Indiana Conference assumed formal sponsorship of the school. By June the structure’s cornerstone was laid and when the school opened in the fall of 1847 nearly 100 girls were enrolled. In 1852, a separate Fort Wayne Collegiate Institute was organized for young men. Not long after the two schools were combined and became known as the “Methodist College”. 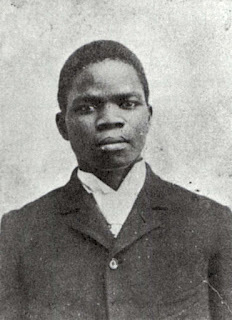 One of the male students was Samuel Morris known as Prince Kaboo from the African tribe of Kru and was a Methodist convert. He came to the United States and entered the Fort Wayne Methodist College in 1892 to study to become a missionary. He was known to have a charming personality and a zealous religious vocation that endeared him to his classmates quickly making him one of the best-liked students at the college. However, Samuel Morris became ill in 1893 and died. Prince Kaboo was so loved and respected that his touching story of conversion, his enthusiasm for education and his untimely death was widely told and attracted many new students who enrolled in the college. When Fort Wayne Methodist College closed in 1894 and moved to Upland, Indiana, to begin a new life as Taylor University, one of its first two buildings was named Samuel Morris Hall, in recognition of the spirit of Prince Kaboo. Nearly a century later in 1992, Taylor University returned to Fort Wayne and re-established its presence in Fort Wayne by acquiring Summit Christian College.